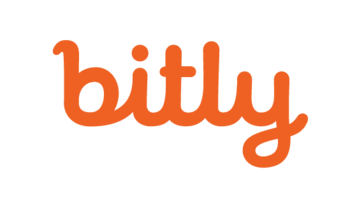 Do you work for bitly? "Acorta tu URL con unos pocos clics"
He utilizado varios acortadores de URL en estos años y Bitly es uno de los mejores junto con el acortador de Google, ya que permite acortar infinitos dominios y no limita el exceso. Lo mejor que tiene este acortador es su tasa de ganancia por cada clic, ya que es el más grande que he visto y no solo eso, sino que también descarta el tráfico como otros acortadores si lo hacen. Su panel de control es muy completo y especialmente útil porque puede ver las estadísticas de sus enlaces para comparar y así determinar su estrategia de negocios de una manera simple y rápida. Además, su tablero de instrumentos en general es muy simple y visualmente atractivo, lo que lo hace muy fácil de navegar a través de él. Lo único que no me gusta del servicio es la cantidad de publicidad que hay en el acortamiento, es bastante intrusivo, aunque a través de este se puede entender por qué las tasas de pago son mayores que otros acortadores. Es una herramienta muy útil para obtener beneficios de sus redes sociales, además de ayudarlo a reducir el tamaño del contenido de sus tweets o publicaciones de Facebook, por lo que es muy útil en las redes sociales. Estoy usando este acortador para camuflar las URL, también las URL se pueden organizar a través de etiquetas o categorías de una manera fácil de ser reconocible, también con el acortador Puedo acortar enlaces a redes sociales como Twitter para que no ocupen tanto espacio cuando escritura . "Short your URL with a few clicks"
I have used several URL shorteners in these years and Bitly is one of the best along with the shortener of google since it allows infinite domains to shorten and does not limit in excess. The best thing that this shortener has is its rate of profit for each click since it is the biggest that I have seen and not only that, but it also rules out traffic like other shorteners if they do. Your dashboard is very complete and especially useful because you can see the statistics of your links to compare and thus determine your business strategy in a simple and fast. In addition your Dashboard in general is very simple and visually attractive which makes it very easy to navigate through it. The only thing that I do not like about the service is the amount of publicity that there is in the shortening, it is quite intrusive although through this one can understand why the payment rates are greater than other shorteners. It is a very useful tool to get benefits from your social networks in addition to helping you reduce the size of the content of your tweets or facebook post, so it is very useful in social networks. I am using this shortener to camouflage URLs, also the URLs can be organized through tags or categories in an easy way to be recognizable, also with the shortener I can shorten links to social networks like twitter so that they do not occupy so much space when writing . "Link shortener, with what is necessary to have the least amount of characters." Bitly is a great tool, to shorten all types of links, now it is difficult to use as many characters in a link on different platforms as, twitter, Instagram, Facebook, among others, for links usually have too many characters and this, firstly occupies a lot of space in the texts that have been written, and second, the interest on the part of the readers to enter in this link is lost, without mentioning, that some platform like twitter have a minimum number of characters to write, with which in any Publication should take advantage of most of this available space, if there were no tools such as bitly, it would be impossible to create a good publication in sites such as those mentioned above. The customization of links is limited to a certain number of characters, and also, sometimes, does not allow certain types of special characters, which you want to include in them, which may be a small detail, but for advertising companies such as ours, they are important, since we create advertisements, and we analyze the whole market, and in the smallest details, we can have the greatest advantages of positioning. One of the best shorteners in the market, which provides valuable information to follow up on all types of links. Thanks to this tool, we can not only take advantage of the usefulness of shortening the links, to have better publications, it also allows us to track the reach of the links, obtaining different reports, with detailed characteristics, of the people who accessed our links, giving us a valuable information, which we can use to maximize our marketing ideas. "Great experience even better than what Google URL Shortner used to offer"
It has a lot more features than Google URL Shortner used to have, I love the fact that you don't need to hay a payed account to modify (partially) your Shortened links. Of course you have to pay if you want a specific domain to be shortned, but with the free tools you can do a lot, and also you can measure all the links. So for me is wonderful. Indeed there is not much I could say I dislike, because it has lots of great features, only the price y a little bit high in order to get the other tools to build and track campaigns by channel, product, audience, the paid dashboard, etc. Another thing I dislike is the NO possibility to create campaigns without the payed subscription, that is a feature that could be a good hook if they give it for free to the users. It's a really good alternative for those who used to use Google URL Shortner, and even for those beginners. Measuring the click for specific links of course, but in a more understandable, organized and better looking way. It also helps with the charts exporting or just taking a screenshot. Something else it helped a lot is the referrers, they are so exact. "Makes social media posts and analytics easier"
There really isn't anything I dislike about using bitly. It has been a great service that I will continue to use and recommend on a regular basis. USE IT! So easy and I prefer to Owly based on just how easy it is to shrink links. Bitly helps my social media posts look much more streamlined and not have to waste space or characters on twitter with a infinite link. It makes all posts look incredibly professional and keeps the focus on the content of what I am posting, which are usual simple glossary terms of the day. Bitly makes it simple to brand shortlinks with a custom domain. We frequently share informative posts from the Tripawds pet amputation support community to help three legged pets and their people. Permalinks from our blog and discussion forums are long so registered the domain tri.pet and easily implemented it with Bitly to create custom shortlinks to our content to reinforce the Tripawds branding. Bitly is free! That's great. But the website offers no clear feature comparison for Premium accounts, only a sales contact form. While a Premium account apparently offers "unlimited branded shortlinks", it is unclear whether it is possible to add multiple branded short domains to one account. Try Bitly for free! Set-up is simple. We are maintainig our brand identity when sharing content via social media. "Great for a free resource"
Bit.ly is great because it allows for simple link shortening in a very quick and intuitive way. MY company does a great deal of print communication, and our long website links simply don't work. This is also great for use in our text blasts, and ultimately makes our audience more responsive to some of our communications. I know that there are more elegant solutions out there as far as obtaining more trackable and branded links. Bit.ly doesn't not provide this in any quick or convenient manner, and rather serves it purpose as a basic link shortener. Contacting their customer service team to inquire about rates for an enterprise account has proven to be difficult. Absolutely go ahead and give bit.ly a shot if you are considering something to help in campaign monitoring, especially if you have yet to implement in this area. It's a great starting point. My team has realized the benefits of using shortened links for print and social media in seeing an increase of clickthroughs. We generally work with an audience that is not comprised of digital natives, so the less there is to type in the browser bar from a flyer or print piece, the better. We can keep a birds eye views on clicks without sifting through our webpage or social analytics, which proofs to be beneficial in short-term campaign adjustments. "Good service, not the best, but is the one we use"
Bitly is a good service to make short link for your business. You can connect a custom domain for you short links, you can customize the name of the link and use tags inside the platform to organize your work. Also Bitly provide you a basic analytic dashboard about the performance of your links that only last 30 days if you're using the free version. To connect your custom domain to Bitly you have to play around with DNS, and it's not so simple. ALso there is no way to purchase a custom domain directly in it. Their prices are to high (starting from 500 USD for a month). Unfortunely the free version allows you to see the stats about the links just for 30 days. I higly reccomend you to use the free version, the best among the others. With Bitly we can short our links for free, keeping them organized thanks to tags. We use to send out inoffice messages with custom links related to projects and clients, for this purpose we find Bitly really useful. We also use it sometimes for our social medias. "Good platform to have control over the links"
Bitly is a good platform that allows you to have control over the performance and lenght of a link. I like the fact that I can see the performance with place and source of the "click" on the link. Also the customization of the shorten link is something that you can use at your advantage. The customization of the shorten link base can appear too much difficult for who is not so expert. The software can also helps you in social media marketing, scanning the performance of your post and publications. Test it. I use Bitly to short links to use in the banners, ADs, and website that I create. This allow me to have under control every single link, understanding which one performs better that the other and how to improve positioning and message of the ad. I really love Bitly. It have no learning curve, and can keep all you data about performances really organized. "Quick way to send out long link"
I like the basic feature of Bitly: the short links. Just this it's great for me, but sometimes I use it for my social shares so I also like the stats avaible for every link. I also like the fact that I can use Bitly on my smartphone or on my pc, everything will be ever in sync. At the moment I can't find nothing that I do not like. Use it please, it's one of the best and fun tool I ever used. I use Bitly to share and store long links of articles and pages related to the projects that we are follow. When planning the shooting of a video is always a good idea to looking for storyes and inspiration on the internet. So I use Bitly to save and label intrasting link and it's also a great way to share the same links with members of my team. Sometimes I use Bitly also for my social profiles, to see how a link performs. Great for this! "A great URL tracking & shortening tool"
It's a great free tool for tracking your URLs and shortening them - perfect for social media updates. If you want to dig into the results and see some demographics around who's clicking on your links and how many times etc. then this is the tool for you. The free version is somewhat limited and the paid version (Enterprise) is far too expensive for 99.9% of the companies out there. There needs to be a middle-ground product for companies that need premium features but don't have a huge budget. Understand the limitations of the free version before jumping into the tool as the lack of premium features can be frustrating, but it's far too expensive for most (I believe it's around $1,000 per month). It enables us to track our URL clicks and understand what from which locations users are clicking. It also is a great way of shortening our URLs and integrating straight into Buffer. "Bitly is the perfect tool to track your customer actions"
sometimes it takes time to start tracking, nothing too bad, but sometimes a few minutes. the website could be a little more friendly. I haven't seen it available as a Google Chrome extension. if you are able to put bit.ly into your business routines you'll have a great ally on your site. Whenever I send a presentation or dashboard to one of my customers I am able to track if they opened the file, which is very good for follow up. For me, the best and most popular link shortener on the planet, because in addition to its basic services can be integrated with all social networks like twitter and facebook and shorten all the links we publish, showing us an analysis of how many and where they come from Clicks. It maintains a platform to measure the impact of our publications on different social networks. It should reward its users a bit more, as well as other shorteners, since, because they are popular, they can give incentives to their most loyal users. One of the disadvantages of this and all the shorteners is that they can be used for malicious purposes to infect with viruses towards pages that are not what the user thinks is intended. Despite its popularity, many people do not trust links shortened for fear that it leads to malicious pages. I guarantee you will not regret using it. Using shortened links for publications makes the information more digestible and therefore will generate more interactions in your publications and improve the position of your brand. "User-friendly custom URL tracking for all companies, from small business to enterprise level"
I like that bit.ly makes it easy for novices and experts alike to custom track their web traffic. The platform has great enterprise level capabilities making it a worthy tool in a professionals toolkit. It's easy to access and view reporting metrics it's easy to create many URLs in bulk if necessary for a campaign. Once a custom URL is created, it cannot be updated. Only new URLs can be created. If the custom URL is already in use, it can be frustrating, especially if it's connected to out of date content. I wish there was a way to purge old bit.ly links, or request the custom URL be transferred to another user. I realize that some of the limitations are in order to prevent abuse of content, but it does not offer too many workarounds if a URL needs to be updated with a correct address. This is a great tool for those just beginning to measure the ROI of their social media content. Also great for seasoned professionals and those who work with enterprise companies. Fits the bill from small business to large. I've been able to track how well social media content performs compared to newsletter and other marketing content. Able to refer measurable traffic from non-digital sources like print. People often ask how to prove the ROI of social media, and it's a very strong indicator of purchase intent and conversation rate. "Perfect to shorten long url and keep an eye on the performance of your posted urls"
Bitly is perfect to shorten long urls and keep an eye on the performance of your posted urls. It's easy to use, you can make short urls in seconds, simply pasting the original url in a box. If you share the link on a social media the preview will be from the original link. The insight feature helps you to understand how your olinks perform. It would be great if the platform give us the opportunity to shorten many times the same links, so if you use the same source for different platform you can track down the performance per projects. Use Bitly (even the free version of it) if you want to implement your work and social media strategy. I always use Bitly in my social media platform activity. It helps me a lot tracking down performances and peek the ROI on my strategies. It's also useful in my blog and emails since it allows me to keep everything focused and short. "Easy to Use Link Shortener but Lacks Functionality"
Bitly is very easy to use. It only takes a few minutes to set up an account and start creating links to share online. The tag function is great. Once you've created over 100 links, tags make it easy to organize and catalog links by things like website or topics/subjects. In the free version you can see the number of clicks, where they are coming from and how (social media, email, direct, sms etc). You also get a very clear, easy to read chart that shows the number of clicks over a period of time. I mostly use it for social media and email marketing. I have used other link shorteners, but I always come back to this one. It's extremely simple but effective. I also like how clean the interface is. Easy to see where everything is, they don't waste space with clutter. If you need basic link shortening and the ability to see only a few analytics, this is for you. I could be very powerful with other analytics software on the market. If you need more analytics but are on a budget, save your money and go with another option. I keep all of links for social media and email marketing here. I find it helps cut down time, especially with email marketing. I use a lot of the same links all of the time. I can organize everything with tags, do a search, and it pulls up what I need. "Best app to shorten your urls"
bitly simply is the best website that you can find on the market to make a short url . I really like that you can use bitly even without the need to sign up for an account. This feature gives access to millions of people that use bitly even without know the real power behind the service when you have an account. I had little experience with an active account. I use to work with bitly just to shortened the urls....but since I signup for an account, i saw that bitly offers great ways to have a closer look at what is happening with the urls that you are sending....don't hesitate and open your account prior to start using the app....you will lose a lot of information that you can gather and analyze. You can be using bitly, like me, for years, event without knowing that you can get an account and have a lot more benefits and metrics than just get your urls shortened...this is very bad. SIGN UP for your account immediately even though you can use the service like me for more than 3 years. I think that the value added of getting the account is enormous, don't hesitate and open the account and take advantage of all these free benefits. We are using bitly to shorten mkt urls to information from our franchises and to avoid posting long urls that make emails less appealing to customers when they read them. I use Bitly a lot every day. It have a good integration with software and devices. It allows you to create custom bit.ly/ URLs with your links, but they have to be new and never used. You can connect a custom domain thanks to DNS features and the platform offers you a great insight on the links performance, with the number of clicks, country of clicks and performance in time. The dashboard is simple and easy to use, allowing you to shorten a link in a second and tagging it following your needs. It would be great if Bitly provide an interface with folders or another way to divide links, since I use it a lot would be great to organize them per projects. Would be easy to take control of them. Also deleting a link can appear a little messy. Simplyfing this would make a better experience for the user. In my experience I can only highly reccomend you to use Bitly. You will find an easy way to measure your posts performance and the facility to share links in your social media. I use Bitly in my everyday life. To shorten URLs for Twitter, or to track my post performance on Facebook (since that you can delete the link in post and you only have the preview, so nothing strange to the eye of the viewer.). I also love that I can shorten links in a second thanks to the iPhone integration. This helps me a lot in managing my social networks from my smartphone. "Easy to use & great metrics!" I love how easy this product is to use, even with the business account, all you need to do paste your link and click shorten and you're good to go! The platform also offers great UX. They leave the guessing out with intuitive easy to use buttons and empty text boxes. I dislike that this doesn't integrate with our google analytics. To accurately track all metrics I have to first create a UTM code then shorten the link. It would be helpful to integrate UTM code creation. bitly metrics are great for a company who is looking to focus in on what links are attracting the highest traffic volumes from social posts. It's also great for those looking to include shortened links in copy. To get the most out of it, I recommend using all of the metrics features. This is great if you aren't already using something like google analytics to track traffic from links. We're using bitly to enhance all of our social media copy. Social media posts with links significantly increase follower engagement and create a flow of traffic to your content or website. With limited character space, bitly helps us to provide additional context and value in all of our posts. "Bitly makes it so much easier to access webpages"
I love that I don't have to copy and paste a URL to give coworkers, customers or friends the link to a web page. It makes it so much easier, and it allows me to come up with cute url's to go with my webpages. I can't really think of anything I dislike, bitly gets the job done. Its simple and incredibly useful. It does exactly what it promises and more. definitely use this if you need to share pages frequently, or if you have your own site that does not have an easy to memorize URL. it will make it so much easier for you to share your page with others by simply saying bit.ly/whatever you decide to make it. This has helped me see how exactly how much traffic different sites are getting. It has been incredibly helpful to see whether or not it is worth maintaining web pages or if I should simply take them down. "I use bit.ly every day and it's so easy"
I like how easy bit.ly is to use. I use bit.ly every day to shorten links to support pages. Bit.ly has an easy to use search function that allows me to look for previously created bit.ly links so I can use them to respond to a different product review. When trying to research total clicks for links that I've created the data that is presented only represents about 30 days and not the lifetime of my account. This may be because I am using a free account but I can search for the dates but the data remains the same. Bit.ly is the easiest and most reliable link shortening tool to use. I've been using bit.ly for my entire career and I know that it is the trusted link shortening tool of companies worldwide. My help links look so much cleaner by using bit.ly to shorten them. I like the way that bit.ly uses custom shorteners for corporate accounts so that my links show up with my company's abbreviation and not with bit.ly before each of my links. "Tracking click rates gives you a better understanding of what your audience likes." I like the fact that bit.ly has options for free and paid service. It is simple tool to use and it gives you some information about where your links are being clicked in the actual physical world and where you have placed them on the web. I like that I can open it up any day and see what content I have shared and still see the clicks on those links. It is also great as a url shortener for platforms like Twitter. The subscription price is a bit pricy for a small business so you don't have access to the exact times and locations of people clicking on the links but how else would the company make money. If you are utilizing bitly and collecting your own data via APIs I would take a look at DataSift as it works very well with Bit.ly and can help you make more sense of your data. learning what content resonates best with our audience. Also realizing what content we share in emails is saved by the end user to come back to. "Bit.ly is useful for high level analytics"
I like how user friendly this program is. It's very intuitive and straight forward. It is extremely easy to shorten the links and the way the data is presented is easy to digest. You can also customize the links which makes it look more professional. I wish that when page descriptions were updated, bit.ly would update live. I've had times where I've made a typo in my page description and when I fix it, it is not reflected in the bit.ly link. If you're looking for deep analytics, this is not for you. This helps with shortening links for social media purposes and high-level analytics on where link clicks came from. If your website setup uses long links, this is helpful for posting especially in your Instagram bio. We use it primarily to shorten links for social media. It also helps us understand which platform is best for different types of blogs we produce. "Excellent features and easy to use"
I love the fact that I can personalize the shortened URL. It makes it more appealing to click. In general, I love the bit.ly url and analytic tracking features. If you want to try various headlines and custom urls, you can attempt A/B testing and see what works. I like the service very much, and I can't think of anything that I don't like. I think bit.ly is very easy to use and I recommend it to all of my colleagues. After class, I have to post feedback for my students in China, and I wanted to include a link to supporting materials. Usually, long links can get garbled in translation software and students were not able to access the information I wanted to share. Bit.ly was my first thought and it has solved all of my problems. I love how user friendly bitly is. It's straight to the point as soon as you log in. There's really nothing that I dislike about the site. Maybe the link that it creates could be more related to the article or link you're converting. Definitely sign up to create an account, especially if you are looking to learn more about your social analytics. At first, I just used this website without creating a log in, and now I wish that I had created one a long time ago! It tracks how many clicks you get from each created bitly link which is really helpful. I use it for our company's Twitter account. Long links are ugly and take up too much space, so bitly helps me include links as well as a caption in my Tweets. "Excellent way to shorten my links and get information." many times the shortened link stops working, you have to be on hold every day until the shortened link stops working. I can shorten my links, it helps me to look better aesthetically, and it helps me get more information from thousands of visitors. "The best link tracking site I've used in the beginning of my blogging"
What I liked best is that it tracked the clicks on the links leading from my post. It helped with keeping track of many different things. I still use it from time to time. I only use it to track outgoing links from my social sites or sharing from Hootsuite. By using the site, it's a great thing that you can choose the end of the short link that you create. That is one of the things I really like! It helps to keep track of the links for my clients. They need to be informed about the traffic going to their sites. That is the whole purpose of using bitly. It's unique on how you know how many people actually click on your links. I know a few that go to blogs but NEVER click on a link. By using this program / site, it's so much easier and than not knowing. This improves the quality of your site. Your site will rank higher when you're getting clicks and the outgoing of traffic, or incoming of traffic (if shared on a social site with the bitly link that has been created). The link, when shared to a social site helps to track traffic that comes into your site. You then know what kind of traffic you're really getting. I don't like that they changed the entire site and it has options where you have to pay for what use to be free. I do not like that you can not share from it as you can on the other. Then again, it never did. I know that it would be a huge plus on their part. If you could share from the site, that would make it so much better to use. Right now, I'm having to use 2 different sites. One of the sites that I use does both. But I do not like that bit.ly is one for not getting the benefits that I need. Even if I did, they started charging for a lot of things that use to be free. I would really like to use the things on the site that I use to. Unfortunately, I can't and it's something that I could see a lot of people using. I really can't think of anything else that I truly dislike about Bitly. Bitly has one issue that I can pin point the highest. Not being able to access some of the things that I use to and now have to pay for, which I do not. I've actually recommended several when bitly first launched. By recommending them, I think I done a good thing. Each of those people still use bitly too. Using them as tracking links for my blog. It is something that I use when it's a sponsored post so that I can keep track of it for my client. They eventually need to know how the tacking is going on the clicks on outgoing to their sites. There really isn't anything else that I can use the site for. The best part is that I enjoy about the site is that you can actually choose the ending of the link. It helps with knowing what traffic is coming from social sites, social shares or clicks on the links within the blog or social share. By doing that, it makes it to where you then have a better idea of how your site traffic is doing. "Bitly Links Save Me! " Bitly links make it incredibly easy for me to customize my content length that I share on various social media platforms. I am able to insert my customized link onto any platform and then monitor the traffic from that space. There have been times where the Twitter 140 character count has left me in a bind, especially when using a longer link. From Bitly links, I can shorten these and use the room I have for hashtags and mention @ members. For the desktop version of the Bitly links service (yes, there is an iOS app! ), there isn't a way to organize or sort through the links that have been used in order of time. I can search using the toolbar at the top, but it'd be more efficient to have this option as a drop-down. If you want to get more out of the content that you share, (meaning character counts), then use Bitly links to shorten content links and track the progress. I'm able to track where clicks to my content are coming from by Location, System, and Social Media Sharing Platform. I can also use a calendar view to see which days the traffic drives highest and lowest. This has helped me adjust my own posting schedule. I can also reuse these Bitly links, as they stay static throughout their use. The link customization option helps provide consistency, a professional look and helps support brand awareness. The tool is also extremely easy to use and has a clean and simple user interface.. The tracking ability and insights you are able to gain are extremely valuable. I didn't find anything to dislike about Bitly. I found it to be an elegant, easy to use and reliable tool that does exactly what I needed it to do to create custom links that were easily to track. We are able to maintain brand awareness and consistency with shortened links because of the ability to customize the shortened link. This helps maintain a professional feel and allows us to associate our efforts with campaigns and track the data. "Great URL shortener that works for 100% of our campaigns"
It is extremely simple to create a short link using Bitly. It's analytics are simple to digest and require very little analytics skills to assess the impact of a link to a website or campaign. Bitly does not allow me to create two unique links for 1 source. For example, I have 1 landing page but want to track the click from sources separately. The workaround is to use UTM, but it'd be nice if there was a more simple solution. We use Bitly for all social and web presence to measure how well our links our working. Especially nice for on page URLs that direct away from our website (for example, Quiz or Typeform), so we can measure how they are clicked. "Bitly is best for link shortening"
Bitly was my first link-shortener-love, and I’m sad I’ve been forced to stray. The Chrome extension makes it easy not only to shorten any link, but to have it copied to the clipboard automatically, and to have it stored in your account for tracking later. The analytics are robust, and it’s easy to see which links are doing well to evaluate different channels or partners. Google Analytics can track only your own digital properties, so if you’re posting a link to, say, facebook or twitter, and you want to know whether people are ACTUALLY following the link, bitly is a great way to do that. "Essential for print media monitoring"
I like the ease of use and simple dashboards for a quick birds-eye view of link clicks. There are really 2 steps for creating a bitlink, I couldn't ask for anything more simple. It's good for base-level monitoring, we use different bitlinks for our print media, social, etc. and track the traffic this way. Since my organization relies heavily on print media, this is essential for including web links in flyers. I dislike the lack of more in-depth breakdown for user tracking. Lumping direct clicks in with email and SMS seems far too broad and clunky. The cost involved for having customized bitlinks is currently unattainable for my non-profit, though we are interested in making the purchase. I wish there was a way to organize sets of links into subcategories or campaigns, as the list gets long for us and needs to be cleaned out regularly instead of holding on to that data. Take advantage of customizing the tail end of your links! This is indedespensible as a free tool. We solve the problem of tracking conversions initiated by print media by using bit.ly, as this so far seems to be the simplest way for us. We communicate largely with a low technology use group and rely heavily on print communications. This is simply a quick and pretty solution to see how much online follow-up we get, and for what. We are seeing the benefits of having user-friendly links overall, resulting in more interactivity. I like the advanced analytics it offers. It's nice to see which social media platform is producing the most amount of clicks. It's also beneficial to see click activity overtime if you're in a timed campaign. It's been nice to customize URLs too. Sometimes the interface is a bit wonky when using Chrome as your browser. It would also be helpful to see a detailed breakdown by location instead of by country. As always, look at a variety of products or services offered for what you are interested in. Check and compare prices and features. Bitly helps us determine which platforms generate the most clicks. It also gives us an indication of what events or campaigns are generating the most interest via clicks in general. "A good tool for creatives to create links for their work and social media." I like that I can easily create links branded to my needs and can track clicks. I use this for social media (link to my work with extension matching location source) and for new and current client emails. I haven't found anything yet really. I've tried viewing online and I don't like the experience as much vs when I am on my laptop. I believe there is an app, but just haven't checked it out yet. Just give it a try and make your life so much easier. I am able to branded links for my social media and when I use them for client emails and documents. Nothing better than seeing the stats of who clicked and where. No long crazy links on my social media posts either. "Bitly does what it's supposed to"
It's very quick to make short, custom URLs (no need to wait for link-checking). You get your URL on the spot. Many common URLs are already taken, and I'm not sure if they have a system for getting rid of old ones. There must be a lot of old bitly links that aren't used anymore, yet they are still using up URLs in the system. Also, I wish there was more choice for the first part of the URL other than bitly, since some people aren't familiar with bitly and don't know to put a period in between the bit and ly (bit.ly), so they end up going to the wrong web address. It seems to be the best/fastest way to generate semi-custom, quick URLs. Since it's so widely-used, it can sometimes appear a bit unprofessional, however, I don't know of a better alternative when you want something quick (it's formal nature is fine on social media, anyhow). It's great when you need a quick URL and don't want to go through your IT department to get one created. Especially for one-time use URLs and promotional URLs. "Bitly Links - Easy to Use"
Bitly makes it easy to shorten links but the best part if you can customize the link to tailor to your needs. It has a simple interface that shows all your bitly links, your customization, the total clicks and where those clicks are coming from. It's easy to edit the link. I don't think there is much to dislike. It's simple to use. The only thing I can't seem to figure out is how to bitly amazon links to keep the amz beginning of the link. It always switches back to bit.ly. Making our long links look user friendly and hiding our promo codes. When I was at my previous employeer, it made the links look neat and not as overwhelming or "spammy". It also helps with staying within the character limitations or within the space before copy is cut off on social platforms. I use bitly for work but also use it for personal things as well. There are many things that I really love of this tool, however, the most important ones are: shortening log URLs that you can customize (love this!) and access statistical information such as the number of clicks your link has recorded. This information you can gauge the performance over time. A bar graph view shows the amount of incoming traffic that is going to your link on any given day. I wish some of the enterprise features also are available in the free version. Such us Branding, a deep break down of my audience and dedicated support in case we need help with something in particular. Also, Analytics are deleted after 30 days, you cannot delete a link once it’s created and you cannot change the destination URL after a short link is created. Short links are pretty well know nowadays, however, there could be some cases that users won't click the short URL because they don't see the brand name there. Bitly is great if you want to make links more manageable + track and compile click data. Shorten URLs and also quick stats and metrics from each link we share. Very good for understanding what it's going on after we share a post on each social media platform and how each audience reacts to that. bit.ly makes is so easy to make short URLs. I've used it for campaign tracking and just to straight up shorten an absurdly long URL (I'm looking at you, Facebook permalinks!). It even integrates directly into some other applications, which makes it even easier to use! There are some limitations to bit.ly, of course, but honestly, I haven't really had any problems with it that I can recall. Using your own short domains makes bit.ly that much better! I'm still working on implementing this myself, but it improves the branding and professionalism of your short links by leaps and bounds. bit.ly enables me to make 'pretty' URLs, rather than having to share the ungainly URLs that are generated for campaign tracking and which are sometimes provided by sites like Facebook. I also use it with my SmarterQueue account to make it easier to tell where my site's traffic is coming from!